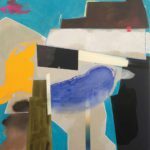 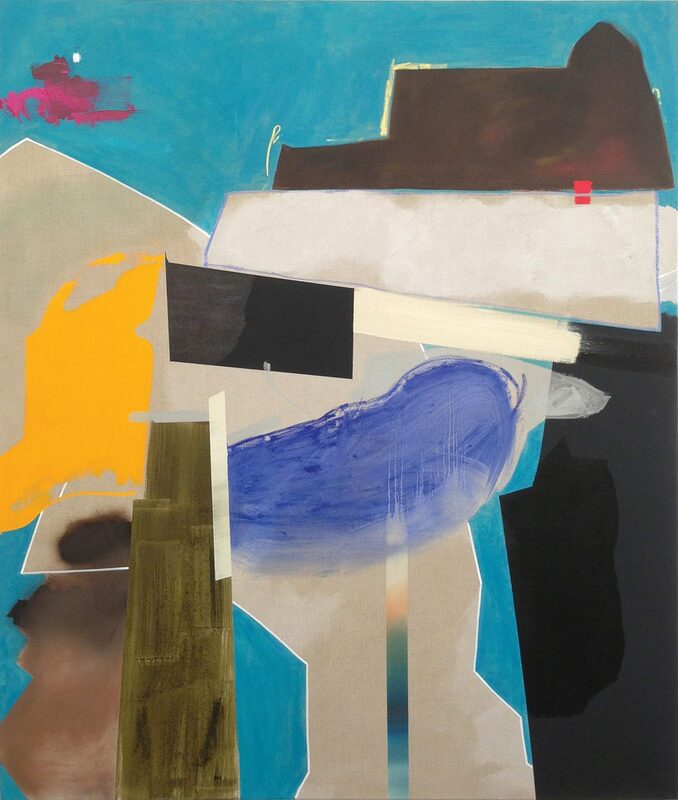 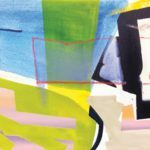 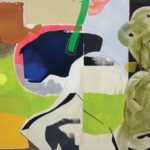 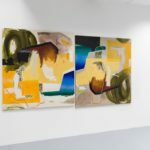 Over more than a decade, Trevor Kiernander has gradually developed an aesthetic research deeply rooted in abstraction but one that frequently flirts with representation. 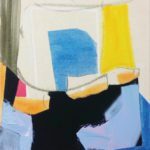 Objects shift in and out of visualization without ever clearly referencing any definitive subjects – merely alluding to boundless possibilities. 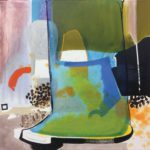 As the viewer maps the visual components that have been so carefully intertwined in the artist’s compositions, one is forced to tackle formal questions of balance, of the weight of colours, of texture, light, transparency. 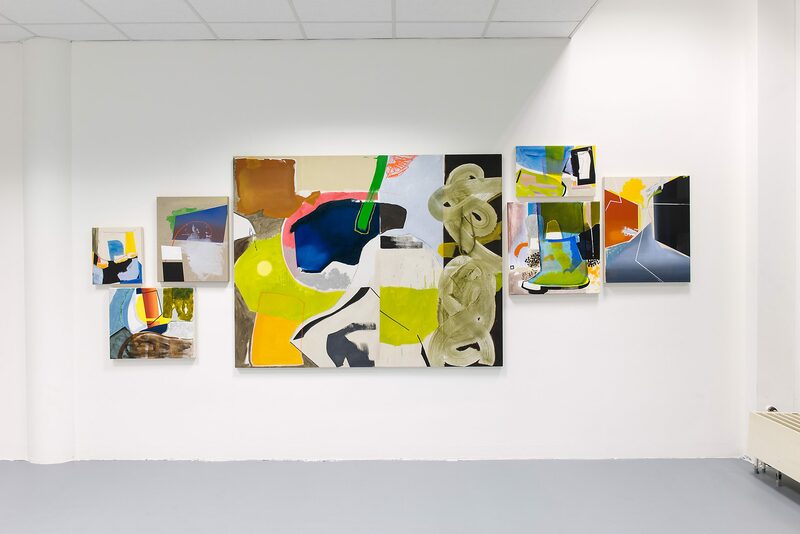 In Kiernander’s work, things exist along, within, outside of one another; represented forms are simultaneously mobile and static and are therefore often hard to pull apart. 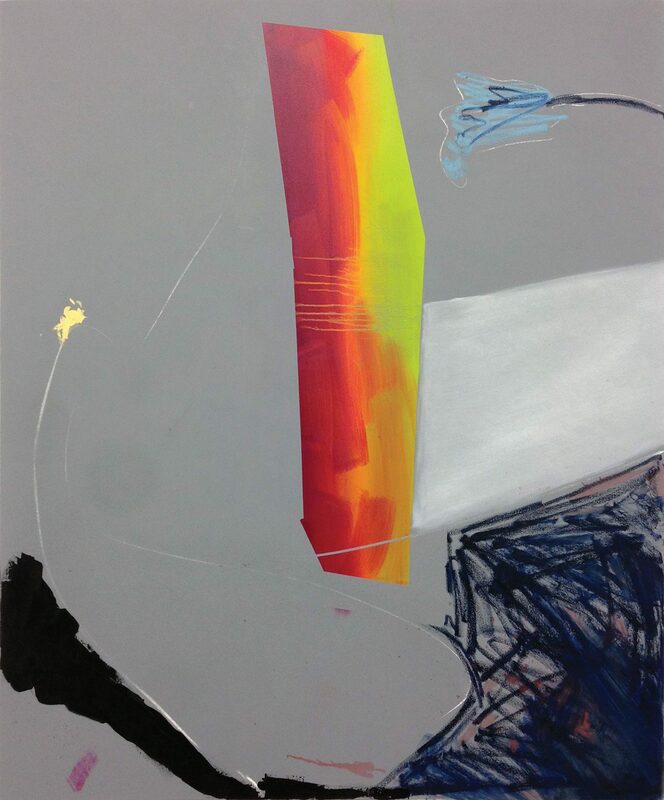 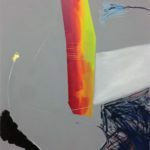 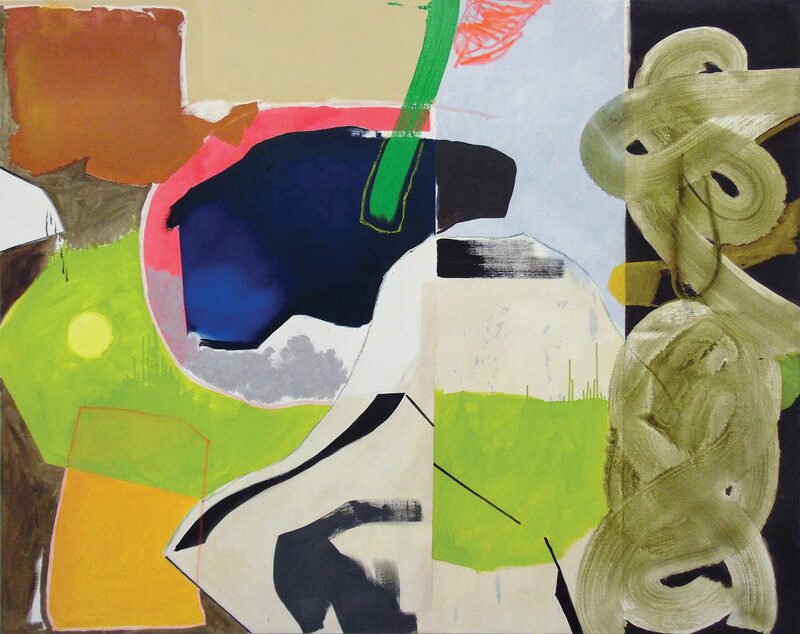 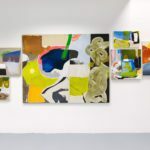 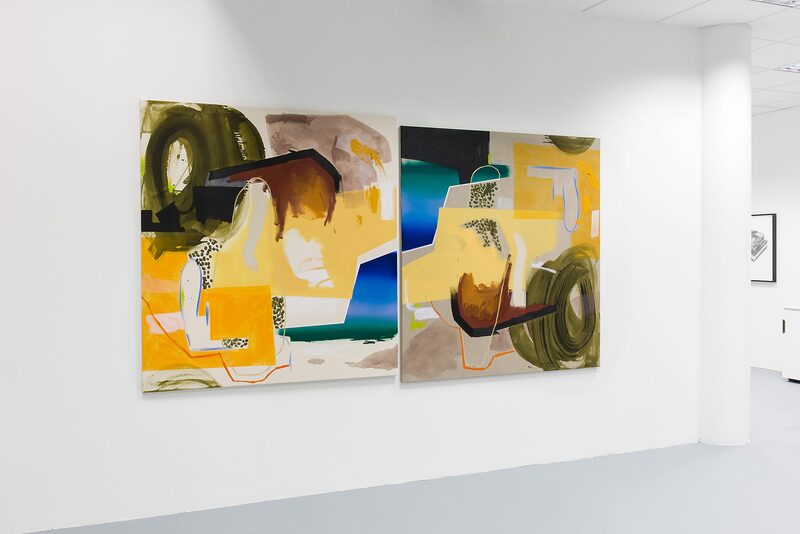 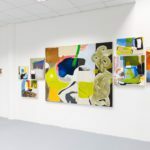 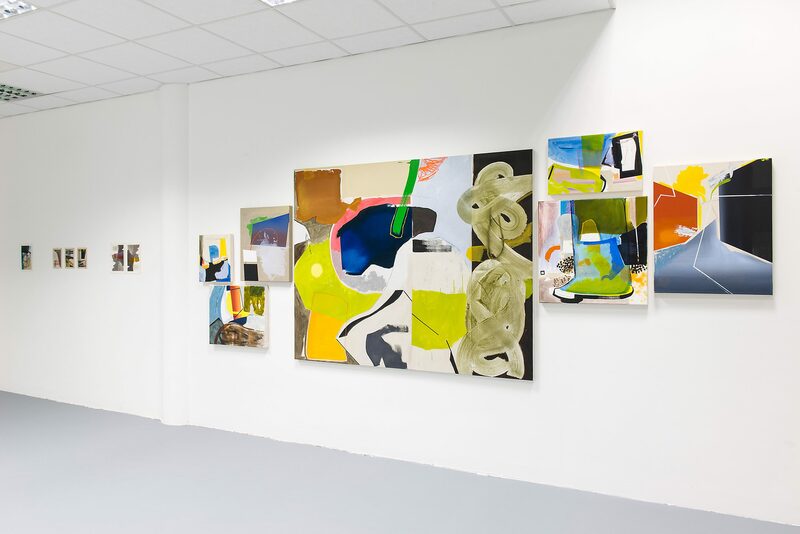 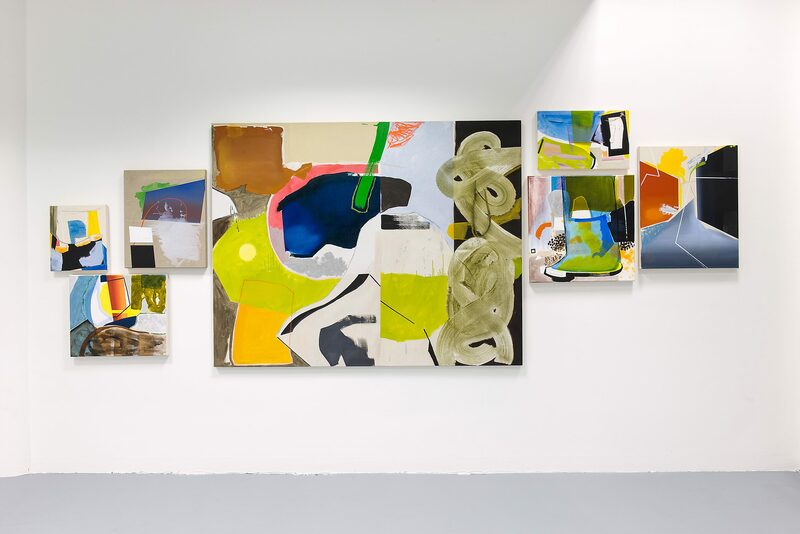 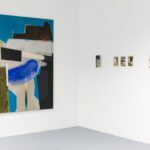 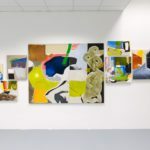 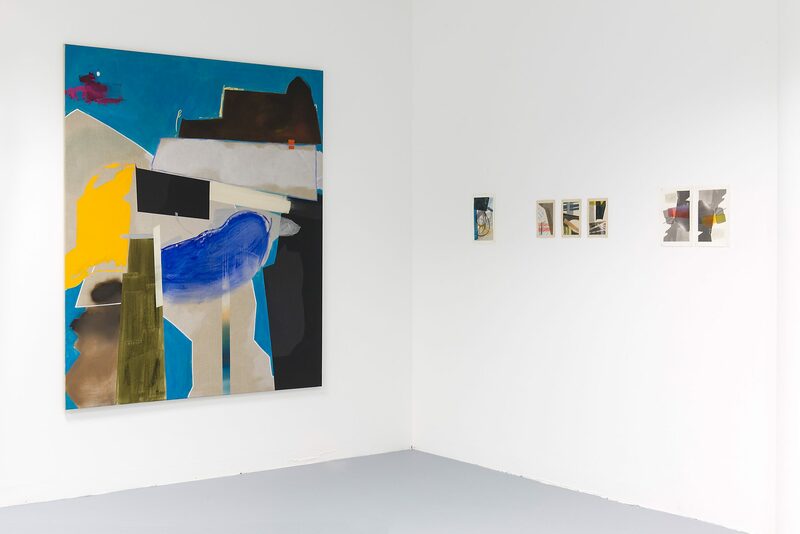 Created during his residency at LIA (Leipzig International Art), the paintings and drawings presented in Bound and Boundless, Trevor Kiernander’s first solo exhibition in Germany, are the natural progression from a series presented in the context of the artist’s exhibition at Maison des arts de Laval in Canada in 2017. 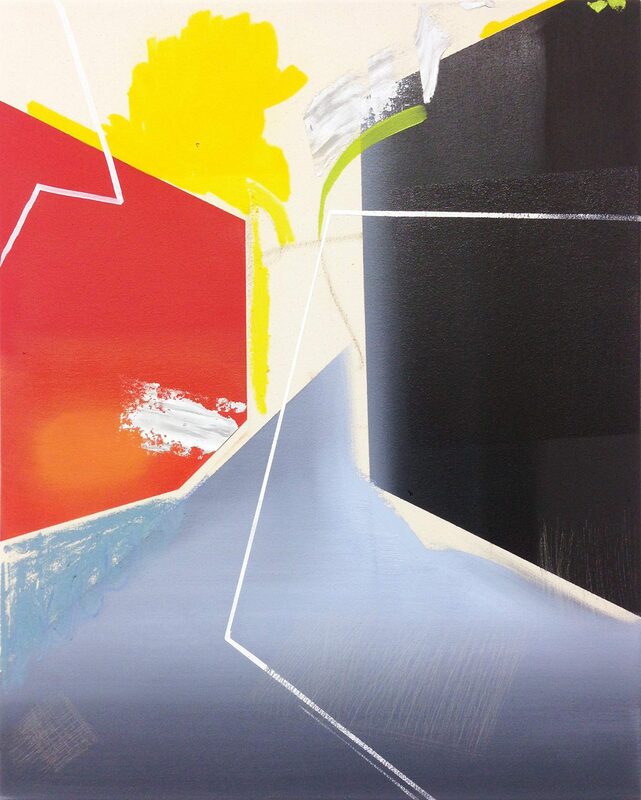 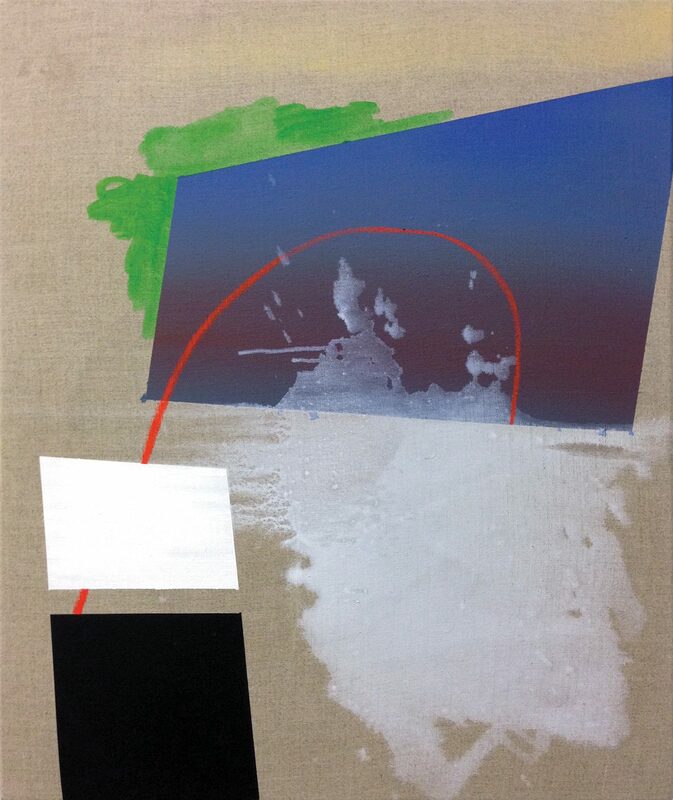 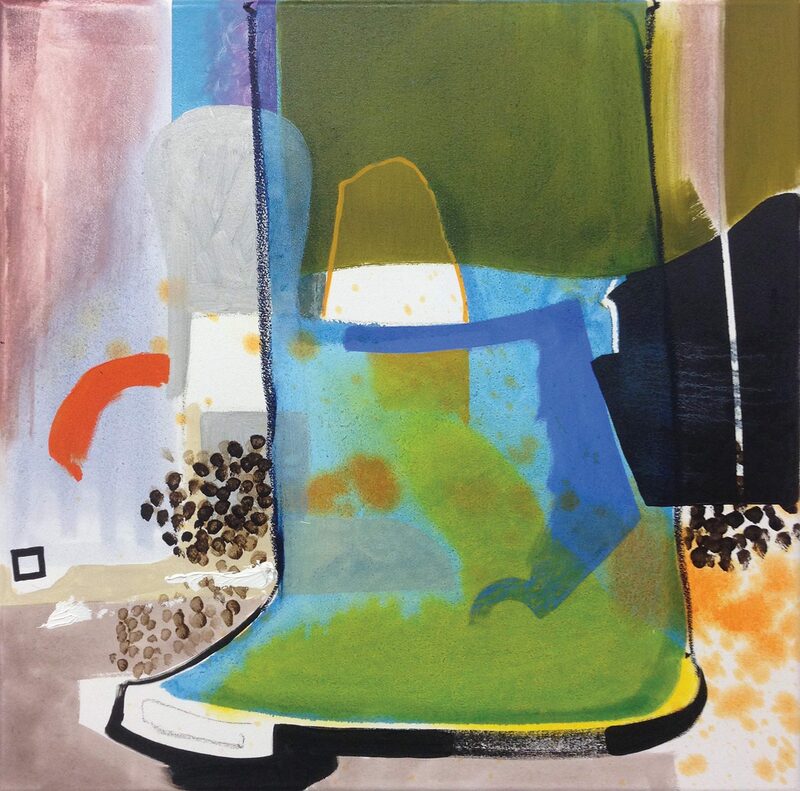 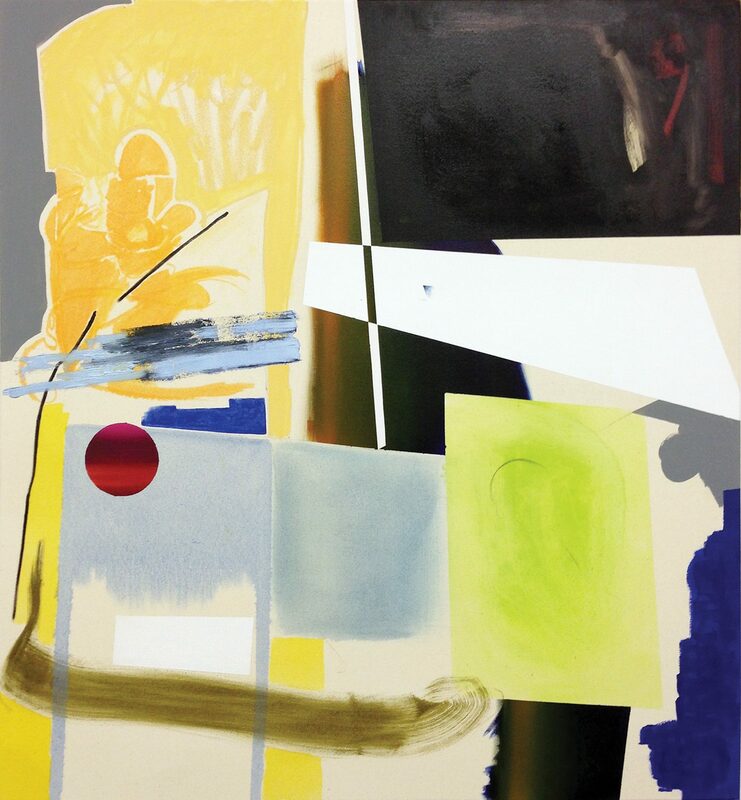 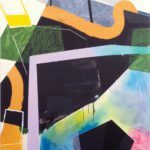 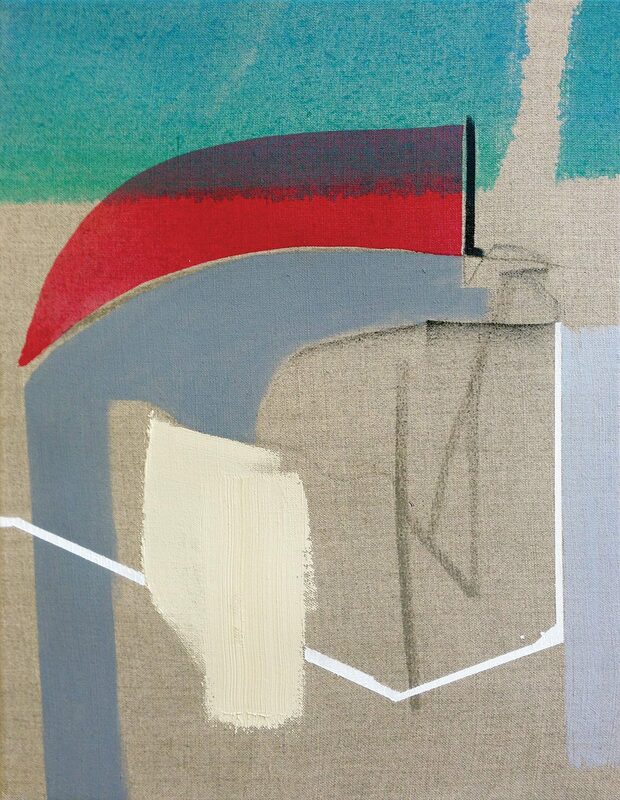 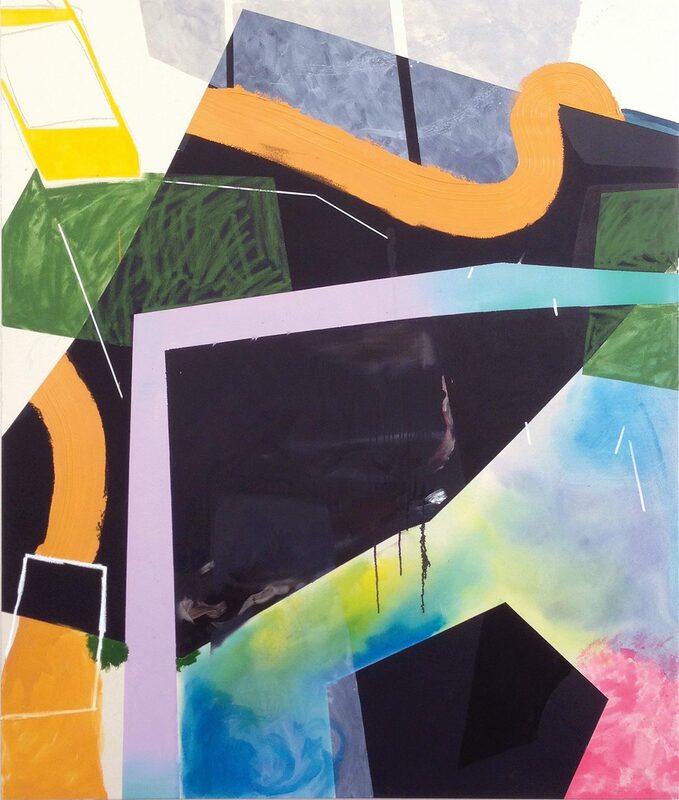 With this new body of work, Kiernander is showing a continued assurance in his use of colour. 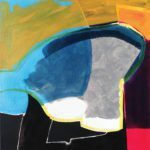 At times, he manipulates it as a structural element and at others as an intangible force: an evanescent light, a fleeing form that breaks with the geometric structures, a contrasting temperature, another mood. 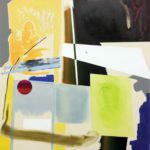 If the exhibition Uncommon Ground marked a shift in the career of the artist ¬– his return to Canada after a 7-year stay in London – characterized by a palette of neutrals and rusty oranges, Bound and Boundless marks another shift: his (temporary) return to Europe as well as new experimentations with his medium. The artist turns to digital collages as structural foundations in a series of pastel drawings. 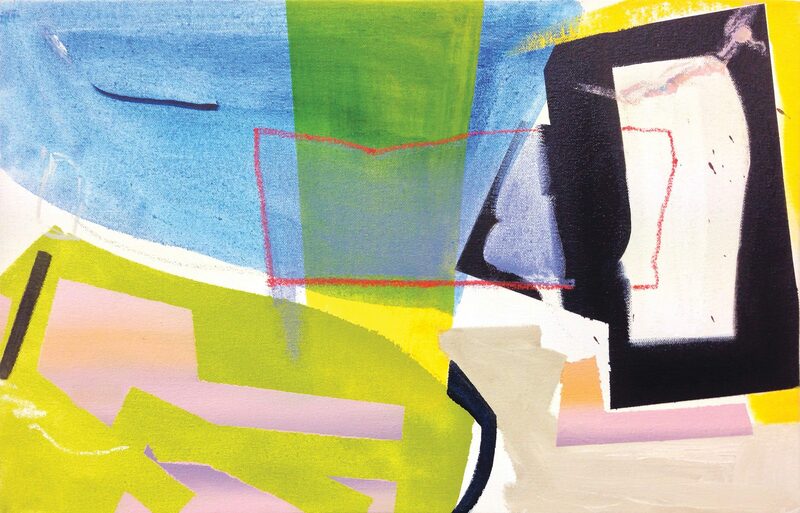 With XYZ, Trevor also experiments with repetition. 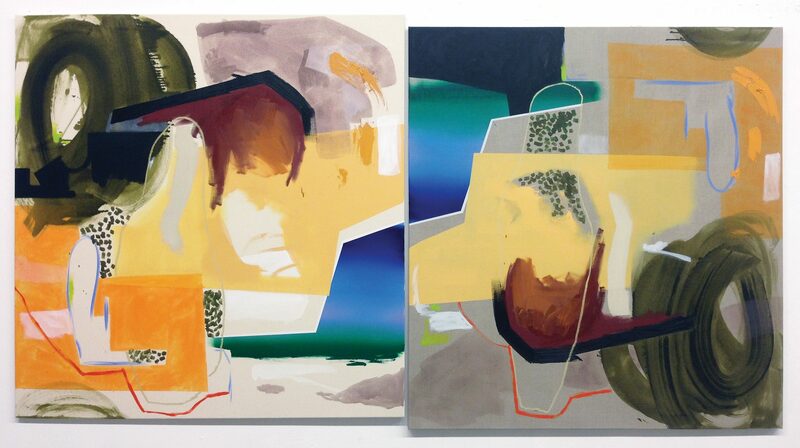 He uses two panels of the same dimensions, one on canvas and one on linen, and paints them simultaneously. 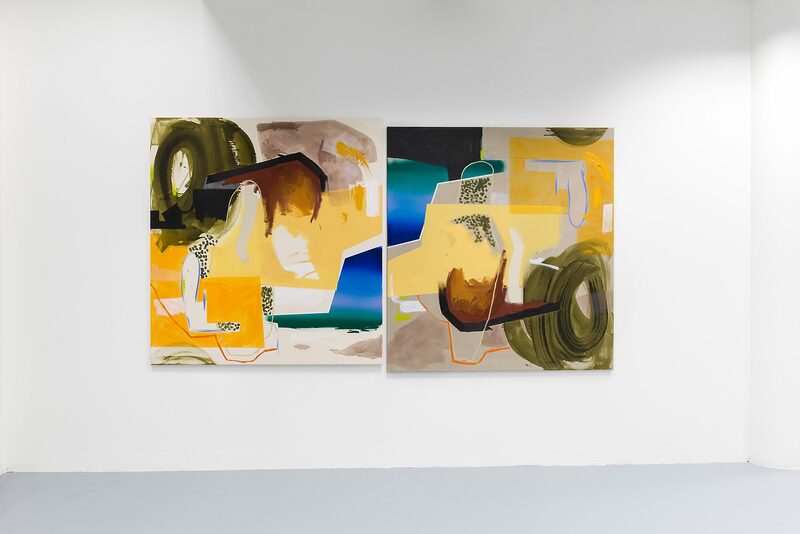 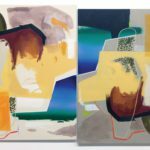 The two paintings are worked alongside each other, receiving the same gestures while nonetheless becoming their own inexact replica of the other. 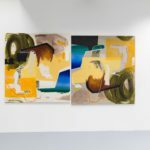 These new works seem to indicate an investment on the part of Kiernander with the ramifications of the digitalization of images, of the tremendous possibilities of new image making and with the issue of reproduction. 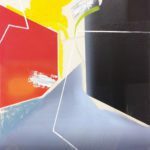 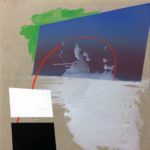 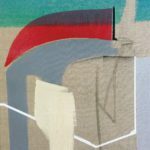 Bound and Boundless tackles the act of painting and drawing in the 21st century at a time where space and temporal horizons are being redefined and where things that have never met before can suddenly be placed within, alongside and through one another.